Home / Blog / Closing your summer cottage or cabin? Try this EarthKind checklist! 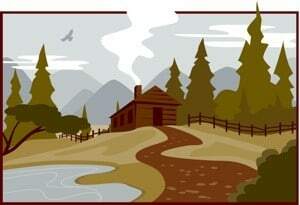 Closing your summer cottage or cabin? Try this EarthKind checklist! After a memory-making summer in your cabin or cottage comes the bittersweet job of closing everything up for the winter. This fall, use this 15-point checklist by EarthKind and keep a journal to make the task less of a chore and more of a joy—and to make next spring’s opening effortless. Shut the water off and drain the plumbing system. If you’re not sure how, get trusted advice from your local hardware store or other cabin owners. Defrost the refrigerator and unplug it. Leave the door open a crack by hanging a dishtowel over the top of the door, or put an open box of baking soda or an EarthKind all-natural air freshener inside to neutralize odors. Protect from mold, must, and mildew. If dampness is common in your area, place some proven anti-mildew products from your local hardware store around the cabin. Remove all food. This includes canned goods, which might freeze and crack or burst open. Plastic doesn’t stop bears or rodents. Put your yard to rest. Mow your lawn and either rake up the leaves for compost or mulch them and leave on the grass. Apply natural fall fertilizer or lime. Trim branches that may serve as rodent bridges into the cottage. Keep all wood piles off the ground and at least 30 feet from the cottage to help keep rodents at bay. Winterize vehicles, implements, or property left behind. Put gas stabilizer in your gas cans and gas tanks. Start the engine or motor and let the gas and stabilizer run through the system to keep the carburetor from gumming up over the winter. Store your expensive property away from the water (which may rise), falling trees, wood piles (which attract mice), and direct sunlight. Lightly oil and lock all boat locks. Drain the water from outboard motors. Use a controlled storage area if possible. Secure your shed. Pick up tools that might help thieves break into the cottage. Remove any debris that might attract rodents, place one Industrial sized Fresh Cab pouch for every 8 square feet of floor space, and then close and lock the door. Inspect the roof. Replace any missing or broken shingles. Check the caulking around the chimney flashing (don’t use foam caulking; it won’t stop critters). Install or inspect wire mesh screens over chimney or attic vents. Check the dryer vent. 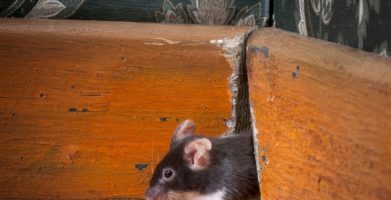 It’s the most common portal by which rats and mice might enter. Make sure it’s fully caulked (but not with foam) and has a wire mesh screen. Place a industrial Fresh Cab pouch just inside the vent. Close and lock all windows. Close the drapes or blinds, or hang blankets over windows. Remove the screens if possible to save them from weather damage in your absence. Ask neighbors watch your place. Make sure they have your phone number, and email address in case they need to reach you. 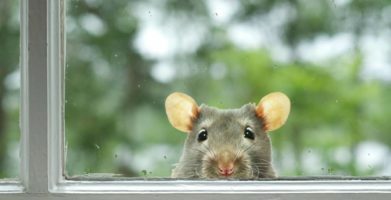 Protect your property from rodent damage. Before you leave, place industrial Fresh Cab pouches in all areas where mice & rats may go to feed, nest, hide or congregate. Areas like: the attic, pantry, under the sink, by the stove. When you return, your cabin will smell like a balsam fir forest – instead of mothballs or mouse damage. To learn more about to prevent pests and protect your property, visit our Pest Library. In your journal, list at least 5 things about the cottage or the summer that you are thankful for. Count your blessings. Remember, your journal might be read for generations. List things that need repair next spring and gardening changes you plan to make. Gather and prepare everything you need to make a fire in the fireplace: wood, matches, twigs, starter fluid. It may save your life or someone else’s in an emergency this winter. After a memory-making summer in your cabin or cottage comes the bittersweet job of closing everything up for the winter. This fall, use this 15-point checklist by EarthKind and keep a journal to make the task less of a chore and more of a joy—and to make next spring’s opening effortless. 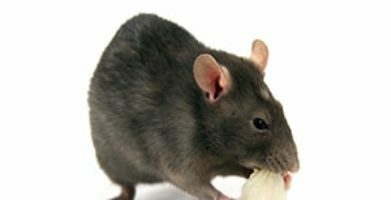 Protect your property from rodent damage. Before you leave, place industrial Fresh Cab pouches in all areas where mice & rats may go to feed, nest, hide or congregate. Areas like: the attic, pantry, under the sink, by the stove. When you return, your cabin will smell like a balsam fir forest – instead of mothballs or mouse damage. To learn more about to prevent pests and protect your property, visit our Pest Library. string(67) "Closing your summer cottage or cabin? Try this EarthKind checklist!"